We love Tacoma and community events, but don’t even think about trying to make it to all of them! Enjoy the list! Let the festivities commence! Well, continue commencing (I understand that’s not correct), but as I write this, December is still a few days away and I’ve already been to two holiday markets. This list is not just about markets - if you’re looking for those, don’t worry, they’re here - it’s also about other things happening in the community this month like art exhibits, a fix-it fair, some Harry Potter flair, ideas for the darkest day of the year, and a parade too! Regarding those ubiquitous holiday markets, at their best they’re not only about shopping for gifts, they’re about seeing and acknowledging the people who make things, they’re about taking it a bit slower, looking at a face instead of clicking “order now.” So, go be an in-person person. You can vote for your local community, your local artists, and your local small businesses with your dollar and your enthusiasm. So, if you’re feeling the community spirit, or looking for some local gifts this month, just come back to this list to see what’s cookin’. This is a big time Tacoma holiday tradition! Caroling, holiday craft making, and even paper making! L'Arche is a vital community of people with and without developmental disabilities with a wonderful mission of revealing each person's gifts. If you can’t make it to this event, take a look at the wreath making class on the 5th! Play parlor games, make ornaments. learn dances, hear stories around the campfire, roast and grind your own coffee beans, and make Christmas crackers! Charity raffle benefits Oasis Youth Center and makers are generously donating 10% of all their sales to Oasis as well! Image from 7 Seas Brewing Co.
6. Gig Harbor Night Market at 7 Seas Brewing Co.
Music, food, drink, and a special visit from Santa! hosted by the outstandingly popular Tacoma Night Market and 7 Seas Brewing Co. Note: in future the Gig Harbor Night Market will be on the 1st Saturday of each month from 5 - 10 pm, so mark your calendars! Proceeds generously donated to Tacoma Community House! Santa photos on the velvet couch from 12:30-3:30! 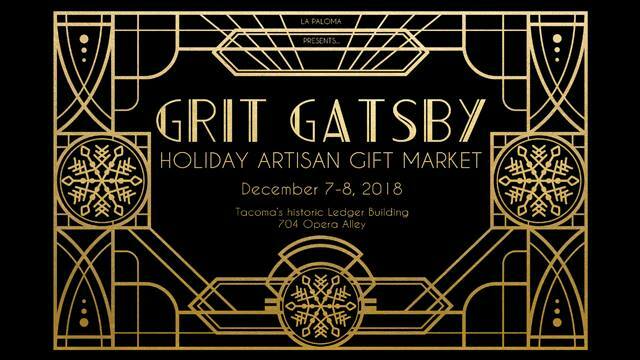 Participants include Tacoma favorites like Stocklist Goods, 7 Seas Brewing Co, Artist & Craftsman Supply, hello, cupcake, Indochine, Tinkertopia, Satori, Tacoma Art Museum, and more! Co-host Vanessa Zoltan of the popular Harry Potter & The Sacred Text podcast explores the text of Harry Potter not just as novel and fantasy, but as words and stories to instruct, inspire, and inform our lives. Harry Potter lovers of Tacoma, get in! Live music/DJ, and Santa will be there too! Stop in at Court House Square restaurants and cafes: en Rama, Lift Bridge Coffee, and OutPost Kitchen for cocktails, brunch, coffee, and sweet treats. The shortest day, the longest night, the beginning of winter. This could be the day you light candles throughout the house, the day you take a long walk in the waning light, the night you find a bit of time to watch the stars. We’ve heard the sun rises straight out of the summit of Mount Rainier on the solstice, so this may be the day you get up early enough to find a mountain view and watch the sun come up. Maybe you want to visit The RedHot (2914 6th Ave) for their Darkest Day celebration of dark beers. It’s almost always a good day for The RedHot - vegan dogs and those Fritos nachos! Whatever you do, just don’t let the day go by without noticing. Give it at least a moment. After this the winter gets deeper, but the daylight grows again. If you haven’t been to a Tacoma Night Market yet, it’s time to go! We’ve celebrated our way through December and now we’ve reached Christmas Eve and Christmas Day. We hope you’ve made it through with some peace, that you’ve found some quiet if you’ve been looking for it, or that you busted out to as many parties, markets, art openings, and community events as you could find if that’s they way like to live. No matter what, we wish you a Merry Christmas and a Happy New Year! 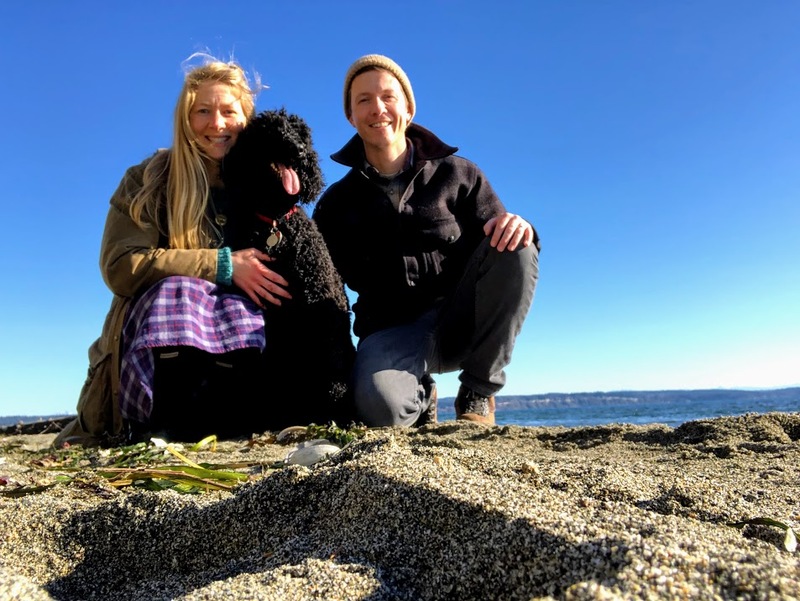 Want to keep in touch about Tacoma community events and Tacoma living? Newer PostThe January Edition - 21 Tacoma Events!